In business since 1990 as a pioneer in aviation information technology, Summit Aviation was the first to electronically publish FAA publications. Since then, the Digital Aviation Reference Library (formerly the Computerized Aviation Reference Library) has grown dramatically in both content and capability to include over 1,000 publications and thousands of illustrations - equivalent to over 35,000 hard copy pages - including FARs, Advisory Circulars, Airworthiness Directives, and numerous FAA handbooks. The Library is updated bi-weekly to include the latest changes and updates to regulatory and advisory information. Most importantly, the Library is contained within a single file, on a single DVD, that is fully-searchable across all documents simultaneously, or within a specific set of most relevant publications. Used extensively throughout the U.S. and internationally, our customers include corporate flight departments, numerous federal agencies, manufacturers, flight schools, private pilots, safety specialists, and national, regional and charter airlines. Summit’s first product was the Computerized FAR/AIM. It contained fully searchable electronic versions of the text of 14 CFR parts 1, 61, 67, and 91 (still known informally as FARs, for Federal Aviation Regulations) and the Airman’s Information Manual (AIM). Media was 5 1/4 inch floppies or 3 1/2 inch diskettes. 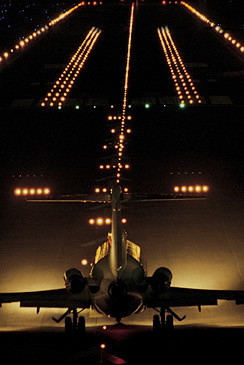 We first demonstrated the product at the October 1990 AOPA Convention in Palm Springs, California. At the convention we received many requests for a product that comprised all the eighty-plus sections of Title 14 CFR, Chapter I, and not just the small subset included on the original Computerized FAR/AIM. As soon as we returned from the convention we began work on the Professional Version. This product included all the parts of 14 CFR Chapter I and required nine high density 3 1/2 inch diskettes. Fortunately, CD-ROMs began to become very popular and we sold our first CD-ROM in November 1993. Now that the problem of having to distribute potentially dozens of diskettes was solved, we pressed forward to add many additional publications and, for the first time, were able to add thousands of illustrations. For the first few years, we continued to add FAA publications to our growing Computerized Aviation Reference Library. But the novelty of having these documents in electronic form, many of which had never before been available to the public except in paper, began to erode because of the growth of the internet. However, the Reference Library on CD remained popular because it provided superior access to the information. Paradoxically, the advantage of having a thousand publications in a one file had the potential to make finding a specific piece of information more difficult - the needle in a hay stack problem. Our focus then turned from collecting and digitizing tens of thousands of pages of information to devising a system to better organize and present this information. The culmination of this effort was the introduction of the Query Wizard in July of 2000. Beginning in 2005, the Reference Library started outgrowing a 700 MB CD-ROM and we had to trim its content to squeeze it in. We solved that problem in October of 2008 we moved to a 4.7 GB DVD-ROM and were able to once again include the complete Library. We now have plenty of room to grow! Summit Aviation continues today as the leader in electronic delivery of pertinent, updated, accessible regulatory information to the aviation community.